Electrical Troubleshooting Tools: Are Your Employees Up to Date? NTT Inc. - Electrical Troubleshooting Tools: Are Your Employees Up to Date? Whether you’re an apprentice or journeyman electrician, the ability to skillfully troubleshoot electrical systems will always be a necessity. And even if you don’t work directly with electricity, but rather supervise personnel who come in contact with electrical control systems through their work in engineering, maintenance, or operations, it’s your responsibility to ensure your team has the troubleshooting expertise they need to work safely and efficiently. Anyone who works with electricity can benefit from occasional updating of troubleshooting skills. One of the best ways to refresh those skills is through trainings led by professionals in the electrical industry who also are skilled instructors. But what might that training look like? What are some of the standard ways workers in the electrical trades go about troubleshooting faulty systems, and what are their most common tools? Following are some suggestions for improving your troubleshooting skills, and for what you should have in your toolkit to do the job. And while it may not be all that common yet, electricians are increasingly gravitating to thermal imaging cameras. These cameras gather information that can help determine the condition of equipment through infrared images that display variations in temperature on the surfaces of the equipment. Prices of infrared cameras are going down, and some models may be used through a smartphone. Now that your toolbox is in order, you’re ready to start troubleshooting. Learn how to read a schematic. Most electricians don’t want to take the time to read a schematic, but would rather jump right into the job and start trying this and that. But reading a schematic can help you figure out the problem before you start working, so that you don’t waste time. Try making a drawing of the suspected faulty circuit and analyze what it is doing or not doing before you start ripping out all the wiring. Rely on your voltmeter. The voltmeter, used for testing circuits to see if they are live, can help you find results much faster if used correctly. The key to using the voltmeter correctly is not to round off decimals to the next whole number. If you don’t know how to use the voltmeter correctly, find a training that will improve your skills. Analyzing voltmeter and temperature readings before you tear into the wiring may facilitate your search for the source of the fault. Brush up on “ghost voltage” readings. Your digital voltmeter is so sensitive it picks up the earth’s magnetic field. 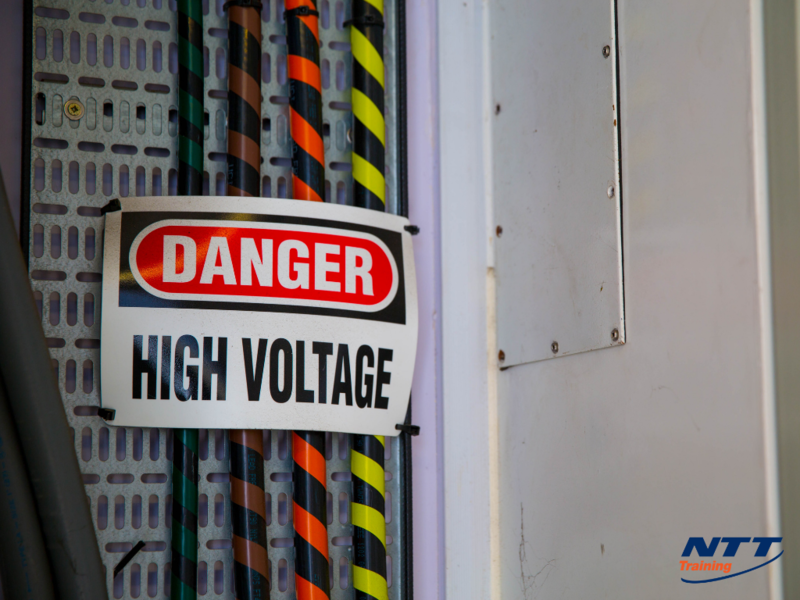 These readings can be confused with low voltage, rapidly fluctuating readings (known as ghost voltage) that occur when two unconnected wires are touching — an indication of a broken or disconnected wire that is impeding current flow. This is a clue there is an open circuit, which should be investigated. Isolate the defective component. With the data you gather, you should be able to isolate faulty components or isolate circuits by group if the circuit is complicated. Then you’re ready for repair. After a repair is made, start the system to verify it works right. You want to be sure there are no other factors contributing to the faulty circuit. Then analyze the problem for its root cause so that it won’t recur. Apprentices and journeyman electricians can benefit from brushing up on electrical troubleshooting skills, while employers in the electrical trades can ensure their employers work safer and smarter by enrolling in NTT’s Electrical Troubleshooting seminar. Got any questions? Connect with us today by calling 855-712-7353.